Audi have recently announced that they will be revolutionising the customer journey by utilising the very latest virtual reality software in dealerships to bring customers an immersive and bespoke experience. The move, named ‘The Audi VR Experience’ comes due to customers being much better informed before visiting a dealership. Due to the wealth of information that is available to consumers on various platforms - such as manufacturer websites, social media and forums – the research phase that precedes a dealership visit now offers a much deeper understanding of the product on offer. As such, Audi are looking to change the offering within the dealership to a much more tailored and immersive experience by offering customers the chance to ‘see’ a car right in front of them whilst they configure it. 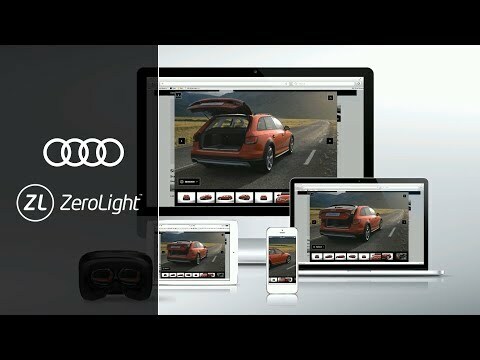 Thanks to the highly advanced stereoscopic 3D rendering and complex data models that have been created by British company Zerolight, Audi are able to show customers incredibly realistic virtual cars that are truly convincing and entirely customisable with Audi’s extensive range of options. Our media team were lucky enough to experience Zerolight’s fantastic software a couple of years ago. Standing in nothing more than a square booth at a marketing conference, the team in turn put on the small Oculus VR headset and were transported into a virtual world where they were joined by a full size Pagani Huayra. They were subsequently able to walk around, interact with and explore the incredibly convincing car both inside and out; the Huayra was so convincing that opening the wing doors even caused a reaction to move out of the way so to not be hit by the virtual door. "It’s not just about showing our cars in a very realistic way. It’s about the experience. Our goal is to have them leave and say, ‘Wow, that was a great two hours!’ and with VR tech that’s possible … the experience can also be tailored to the individual consumer. You can select the surroundings, from France to the moon, let them have a 100-minute pit stop experience at Le Mans, or view a car that’s only available in Germany." Aside from the immersive experience that Audi will offer with this VR technology, it also opens up the possibility for small dealerships – that may only be able to store a small number of Audi new cars within the dealership – to offer the entire Audi new car range with each and every available option. This in turn increases the customer’s opportunities and knowledge base almost tenfold, in the words of Kühne, opening up “hundreds of millions of potential configurations”. The Audi VR Experience will allow dealerships to offer customers a truly dynamic experience in a way that has seldom been seen in the past. Once implemented, customers will have access to each and every vehicle with every conceivably Audi option in a space that is true to real life - as oppose to on a computer screen or tablet. We will be sure to keep you up-to-date with the progress of this exciting technology over the coming months. Images Courtesy of Audi MediaCenter. Audi partnership sees them put a vehicle on the Moon. From the A1 city car to the R8 supercar, we're proud to offer the entire Audi range.